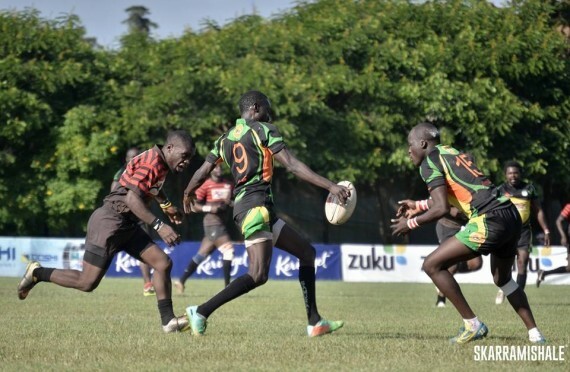 Resolution Impala Saracens resumes its Kenya Cup against Strathmore Leos with the return from injury of utility back Samuel Motari (knee), scrum-half Samson Onsomu (ankle) and backrow hardman Tyson Okoth (shoulder). Motari returns for the first time in six months and will be at inside centre against his former club, while Onsomu was last in action against Blak Blad in November last year. Okoth was due to return from a recurrent shoulder injury and illness in the last matches of last year. The matches against Nondescripts and Blak Blad were however postponed. “It is always good to see players come back to do battle. The returning players have put in decent shifts on the rehab front and we’re really happy for them, said Director of Rugby at Impala Saracens, Fred Ollows. Utility half back Mohammed Omollo takes on responsibility at fly-half after regular Nato Simiyu is reported unavailabile due to work commitments. Brian Opar, the promising former Impala Academy youngster and wonder kicker, makes his debut at blindside winger. Robin Kiplang’at, better known for running proceedings at fly-half in the Boks set up, earns a starting fullback role with the Gazelles this weekend. George Okowa, whose name has been synonymous with the no. 15 jersey, starts from the bench. The Sarries needed a late rally for their 24-12 first leg win.